There is something magical about bespoke furniture that has been lovingly handcrafted. It really sets off a room, makes a statement and draws people in. When you allow Jacob UK to create your dream pieces of furniture, you get to choose from hundreds of designer upholstery fabrics. You can visit our design studio in Warrington, Cheshire or we can suggest a few collections and send them on to you. We have created several pieces for this client over the years – including a beautiful deep buttoned bed and sofa for the master bedroom, plus handmade high backed dining chairs and bespoke curved swivel chairs for other rooms. When we begin any project, we get to know our client as well as possible, so we understand their wants and needs. We look to add extra special touches to reflect their personality or enhance the piece of furniture with the aim of taking the design beyond what they imagined. Several sofas and armchairs for a home in Higher Whitley, Cheshire – For this project we worked with Elizabeth from House of Taupe Interiors, who spent time with the client, choosing the right fabrics. This was a nice project to work on as we also designed and crafted a bespoke bedroom seat for the master bedroom, a dressing table chair, a bedroom seat for a child’s bedroom and a statement seat for the hall. Every piece was unique, and our client was thrilled with the end result. Chesterfield Sofas with matching Wingback armchair and footstool – We can bring tired, vintage furniture back to life and this is exactly what we did with this Chesterfield set. We recommended this lovely faux suede fabric and to make the sofas a real talking point and made new seat cushions in a warm red fabric. 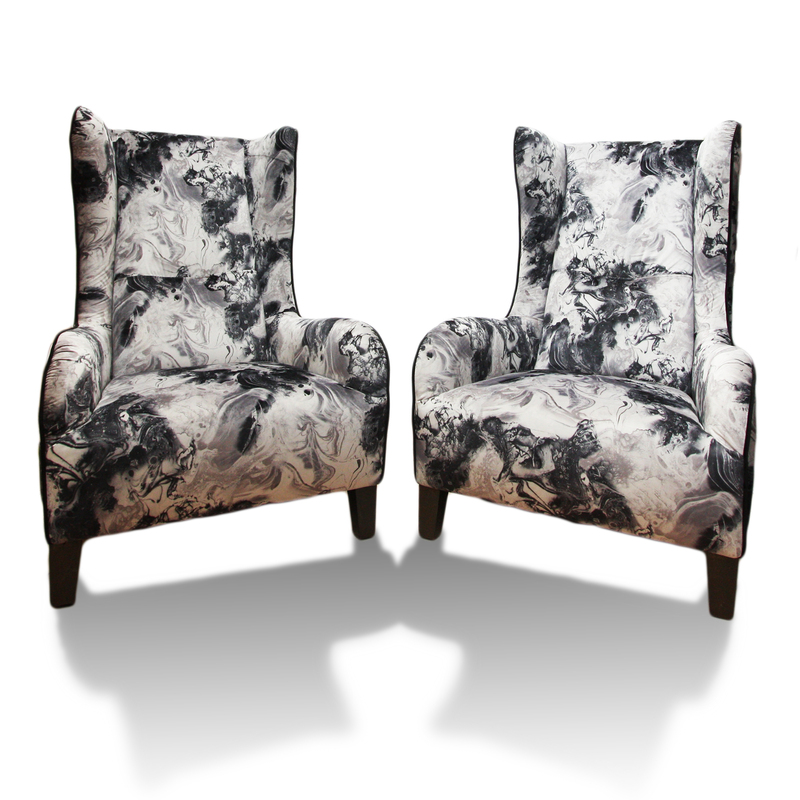 We are the bespoke furniture specialists and have been creating amazing upholstery pieces for decades. Let us use our skills to create something truly unique for your home. Whether you’re looking for something traditional or ultra-modern, Jacob UK are the answer.